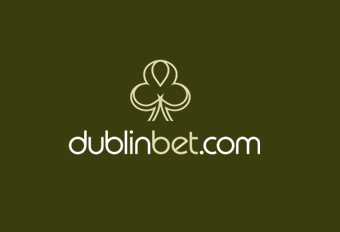 Few online casinos have their Live Casino in the spotlight on their website, but Dublinbet are not like other casinos. The high cost and labour means that most casinos focus on a wide range of virtual games with a few live table games for the serious gamblers. Dublinbet Casino knows that every customer is serious about their game. That’s why their main product is streaming live games from real casinos such as the Fitzwilliam in Dublin, the Hippodrome in London and locations around the world. This gives a truly immersive experience that gives players a sense of authenticity when gaming. The Dublinbet Welcome Bonus is an instant reward which matches your first deposit up to €100. This comes to a total of €200 cash that can then be spent on over 500 casino games on all PCs and mobile devices. This deposit bonus will only be offered to players making their first deposits and cannot be claimed over a number of transactions. This offer is not available in all territories and some countries carry rules that concern deposit limits and banking options, so be sure to read the terms and conditions to make sure you are eligible to participate. Because the Live Casino is the main show at Dublinbet, the promotions and competitions carry prizes as huge as the stakes. Throughout a player’s typical week, they can look forward to promotions that improve their casino balance and keep playing longer. On Mondays, the newest Slot of the Week is launched and you can get 100 Free Spins when you deposit €100 or more. This can be played on any slot. Throughout the week, the Surprise Happy Hour can happen at any time and comes with a reward of a 25% deposit bonus up to €100. Look out for the Happy Hour banner on the homepage to benefit from this great offer. If you want to join in something more exciting, there’s the Monthly Spin Tournament which has a €1,000 prize pool up for grabs. Each month there is a new slot and if you get one of the top 20 biggest wins, you go home with a prize. The top 30 high scorers also get entered into a raffle with a chance to win 10 extra mystery prizes. There are one-off competitions running at Dublinbet Casino all the time. This January you could have joined in the Dublin’s Lucky Card Blackjack competition or the €3,000 Roulette Tournament, both with thousands of Euros in prize money to be won on selected live tables. Gain access to the VIP Club for offers designed for the high rollers in the Dublinbet community. You can look forward to offers and deals that are only available to VIP members and a cashback bonus of 20% every week. You will have your own dedicated account manager and will be able to make higher deposits with faster payments. Invitation to the VIP club is at the discretion of Dublinbet Casino, so be sure to make a name for yourself in tournaments to be recognised as a serious player. Dublinbet Casino is fully optimised to be accessed from the browser on you mobile device and you can experience the entire casino and all the promotions as long as you have an internet connection. It’s always best to read the Terms and Conditions before participating in any online casino promotion so as to get the full enjoyment. All Dublinbet bonuses are subject to similar conditions but it’s wise to check the fine print on each one for specific terms. There are always a few things to bear in mind when considering a new deal. Whether you are eligible to participate in a promotion depends on a number of the things. They are always limited to one per household or IP address, meaning that if you live in a house with more than one Dublinbet fan, you may be excluded from some promotions. Some banking providers do not participate in such deals and many bonuses are only available to those who are invited via email with a bonus code. All bonus money and winnings from Free Spins are subject to wagering requirements. At Dublinbet this is typically set at 30x, meaning if you receive or win €10, you will have to wager €300 in the casino before it is available to withdraw. Different games contribute different amounts, with slots contributing the most at 100%. Other virtual games such as video poker contribute less and live games contribute nothing. While there are still bonus requirements to pay off, the bet you can place on a casino game is capped at €10. There are occasions when your bonus is forfeit or can expire. Many offers, including the Welcome Bonus, expire after 30 days if the wagering requirements have not been met. Also, if your balance drops below €1 your bonus is automatically forfeit.